The IFA 2016 event in Berlin has started, and OEMs and Gadget manufacturers are not taking a chill at all. Acer has announced another device in the Acer Liquid series, the Acer Liquid Z6 at the IFA event. The Acer Liquid Z6 was announced alongside its bigger sibling the Acer Liquid Z6 Plus, and is a smartphone meant for budget buyers. It comes with modest specs and a reasonable price tag. The Acer Liquid Z6 features a 5-inch HD screen with a pixel resolution of 1280 * 720. The display is layered with a 2.5D curved glass to make it look more stylish. 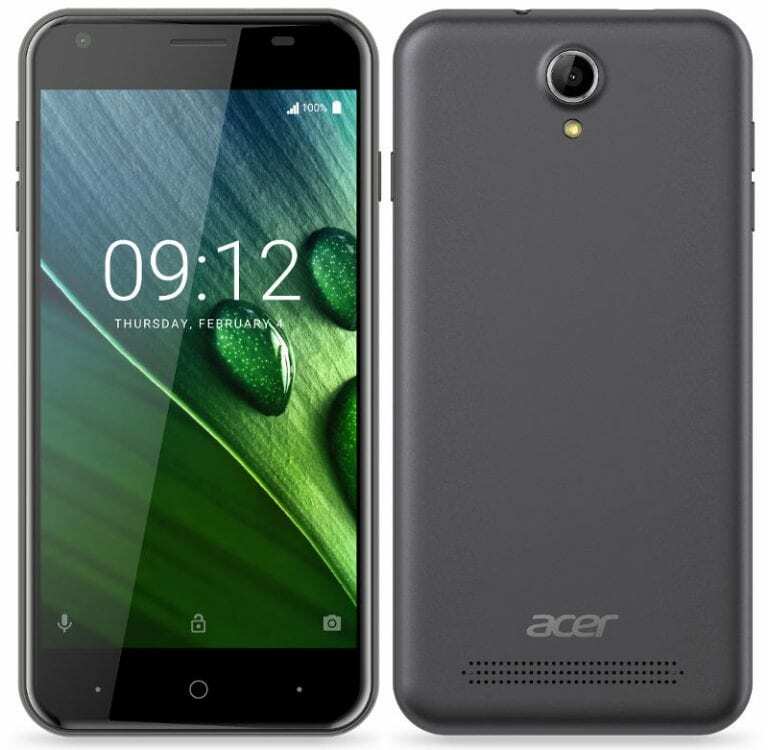 The Acer Liquid Z6 is powered by a 1.3GHz Quad-core MediaTek MT6737 processor which runs on the 64-bit technology. The processor is paired with a Mali-T720 GPU to provide seamless and lag-free navigation for users. It comes with 1GB of RAM and 8GB of expandable internal memory. The Acer Liquid Z6 packs a 2,000mAh battery, which should last for up to 20 hours straight from full charge. The era of 3G-only network connectivity is over, as more and more budget devices come with 4G LTE support. The Acer Liquid Z6 is not an exception; it fully supports 4G LTE and other connectivity options including Wi-Fi 802.11 b/g/n, Bluetooth version 4.0 and GPS for easy navigation and location determination. In the camera compartment, the Acer Liquid Z6 has an 8MP rear camera coupled with a LED flash which enables you to take clear pictures in situations of darkness. It also comes with a 2MP camera positioned at the front of the device for you to take those lovely selfies. The Liquid Z6 runs Android 6.0 Marshmallow out of the box with some minor software tweaks to make sure you get the best out of Android. 1.3GHz Quad-core 64-bit MediaTek MT6737 processor. 8GB internal storage, expandable via micro SD slot. WiFi 802.11 b/g/n, Bluetooth 4.0 and GPS. The Acer Liquid Z6 will not go on sale till November when it will be released into the smartphone market in Europe, Africa, Asia and North America. It will cost N42,000 in Nigeria, KES 13,365 in Kenya and GHS 524 in Ghana.